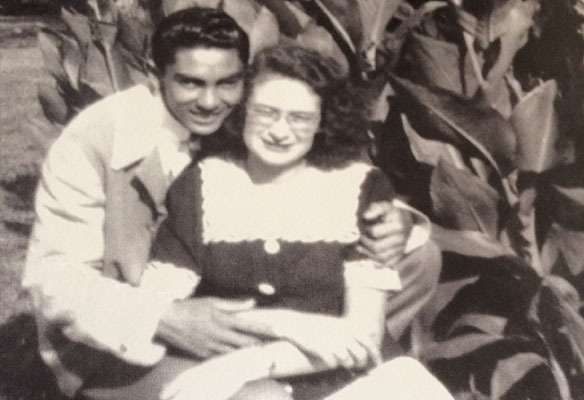 Are you looking for a special way to honor a family member that has passed? 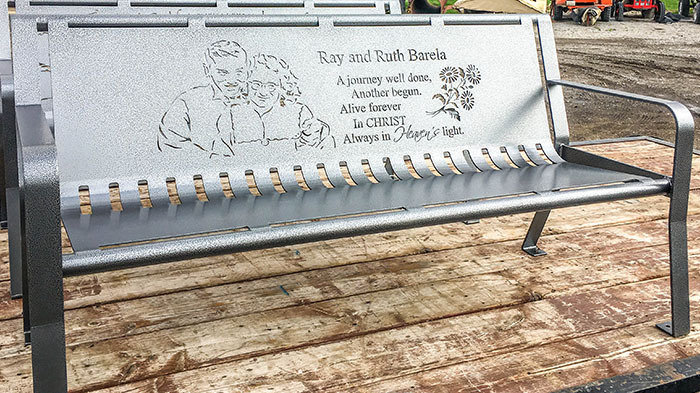 At Smith Steelworks, we create custom remembrance benches that are perfect for gravesides, parks, and more. Each bench is available with intricate designs and finishes. 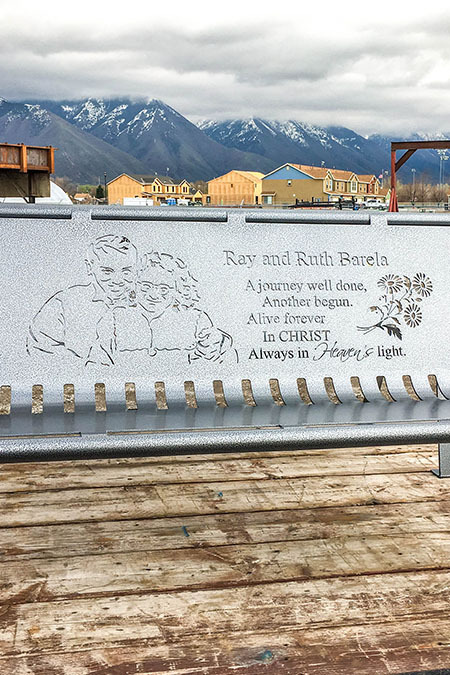 To get started on a remember bench, call (801) 414-1724 or click the button below. 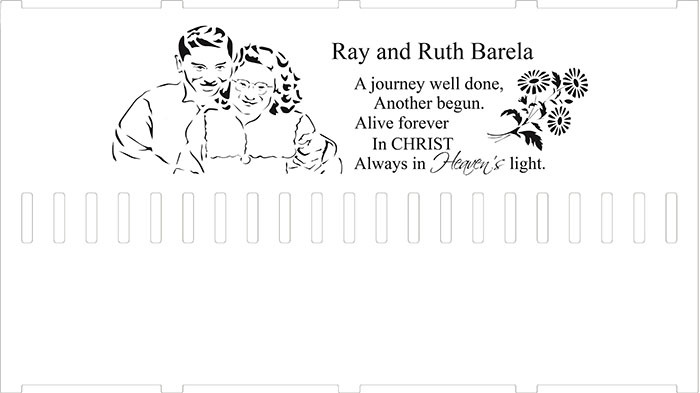 Adding a portrait to the bench is one of our most requested designs. 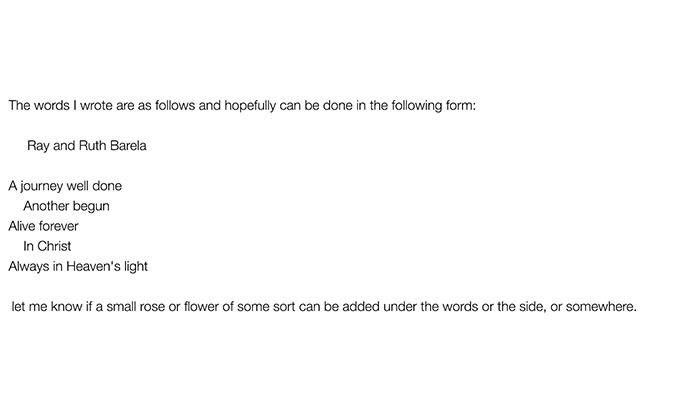 To do this, you will need to email images to russelhsmith@gmail.com. Our artist can work with all types of image quality. 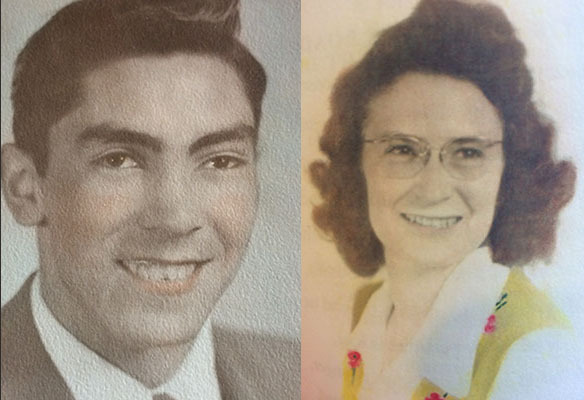 We do ask to send a few photos to help us capture the individual’s likeness. The portraits are then sketched and tabbed. This allows the design to be laser cut. 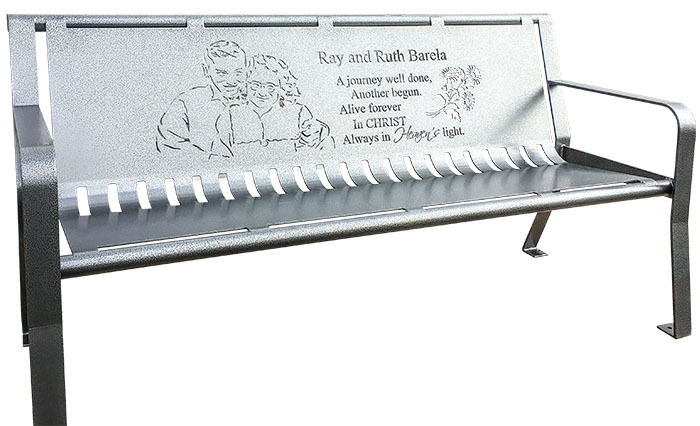 Please send us any memorial bench ideas you have when ordering. We accept photographs, AI files, word documents, etc. No worries if you’re not a master artist! We have an expert who will take your ideas and turn it into a bench proof. Our designer gets right to work on the bench outline. Inscriptions, photographs, sceneries, etc. are all included in this process. A proof is then emailed to you. Manufacturing will not take place until we have you’re approval of the design. A single sheet of durable steel is laser cut. Precision cuts are used to keep the integrity of the design. The bench is then bent and welded. A three-step powder coating process is applied to the custom bench. It’s then packaged and mailed to the final destination. Remembrance benches have been designed to look new for years to come. Here are a examples of our bench durability. Fewer Welds: Each weld creates a small point of weakness. Cutting the bench from a single sheet of metal requires fewer welds; yielding a stronger product. Powder Coat Finish:Powder coat is twice the thickness as average paint. The durable finish protects the metal from chips and scratches, as well as rust and corrosion. Extreme sun rays, snow, or rain won’t dull the powder coat’s vibrant color. We offer a large selection of vibrant colors here.